We began a "Unit of the Week" segment in our news feed in January. As the feature title implies, we focus on a different unit each week. The more engagement we receive from unit members on our Facebook page, the more the unit is featured. This is because we can only feature what we are given. Our call to action is two-fold here. 1) Check out the last features at http://minationalguard.com/news/. 2) If we feature your unit (or a unit with you may know), sound off! We would love to share your photos and story with the rest of the Michigan Guard family! The feature is posted every Monday, so keep an eye on the website. We also post the link immediately to Facebook. LANSING, Mich. — Last weekend marked the beginning of Class 32 at the Michigan Youth ChalleNGe Academy in Battle Creek. The academy is a residential program for high school dropouts, or youth at risk for dropout, between the ages of 16-18 who are ready to change the direction of their lives in a positive way. The first few weeks of hair-cuts, physical training, wearing uniforms, and rigid structure are always tough. Still, MYCA is one of the top performing ChalleNGe programs in the nation for diplomas earned. The program runs 22 weeks from start to finish. It is located on the grounds of the VA Medical Center in Battle Creek and operates with a charter and support from Marshall Public Schools. Funding for the program is provided by state appropriation and contributions from the National Guard Youth Foundation. There is no cost to the student to participate in the program but a community sponsor and an initial interview are required. Victoria Bell of Kalamazoo, whose son is a member of Class 32, said, “I know he (Amontray Bell) has got this. I know it will be hard but he will do well, he has to.” Through tears, Victoria maintained a hopeful smile, believing in the program and a better future for her son. The Youth ChalleNGe program, a CBS Nightly News feature last October, is a quasi-military academy that emphasizes personal responsibility, academic structure, athletic training, and community service. 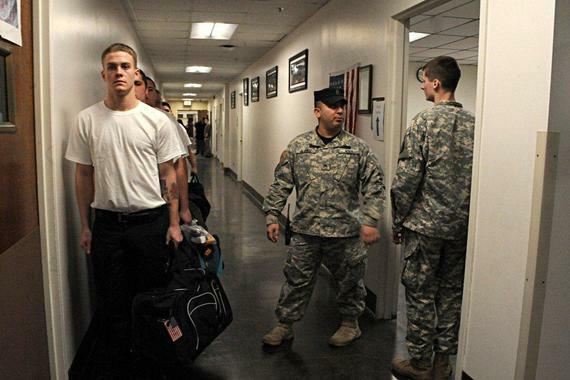 At-risk students, referred to as cadets, often come to the academy with poor grades and dismal attitudes. Some have had attendance problems, behavioral issues or other circumstances that hinder high school academic and social performance. When they arrive at MYCA the rules and program structure are laid out without question. The cadets’ agendas are set and their physical, social and academic performance is measured. Though the program is highly structured, MYCA staff reinforce positivity and self-confidence in every way possible. More information about MYCA can be found on their web site, www.miycp.org and Facebook page, www.facebook.com/myca.mich or call (800) 372-0523 or email MYCAAdmissions@michigan.gov. The following were once members of our Michigan National Guard family and have recently passed away. Join us as we remember the lives these men led.We try to inform our retirees when fellow Guard members pass away, but we do not always learn of their passing immediately. If you know a former member of the Michigan National Guard has passed away, please let us know by filling out this short form. Master Sgt. Gordon Replogle (R) passed away January 8, 2015 in his Middleville, Mich. home. Gordon was a member of the 126 Army Band. Staff Sgt. (Retired) Tyrone Marcus of Detroit died on January 25, 2015. He is survived by his wife, Kathy. He was a member of the Taylor-based 210th Military Police Battalion and deployed to Desert Storm. Marcus was also a Viet Nam veteran. Ira Ferris, 84, of Brighton, passed away January 24, 2015 with his family by his side. He was born in Ann Arbor the son of Ira and Mildred (Butler) Ferris. On June 28, 1958 he married Mary Green in Brighton. On January 22, 2007, Spc. Brandon Stout, 23, of Grand Rapids, Mich. died of wounds sustained in combat in Iraq. Stout was assigned to the 46th Military Police Company, out of Kingsford, Mich. Things we're worried about or that we complain about fall into three domains: things we can control, things we can influence, and things that are outside of our control and influence. Think about your work and personal life and list your complaints about these areas. Consider a few examples. "I don't exercise enough." "My mortgage is too high." "I hate waking up at 5:00a.m." Now, code each of these complaints as either, "Within my control," "Within my influence," or "Outside of my control and influence.” Of the complaints outside of your control, are there any that you can look at differently to give you more control? Are there any that you'd like to let go of? 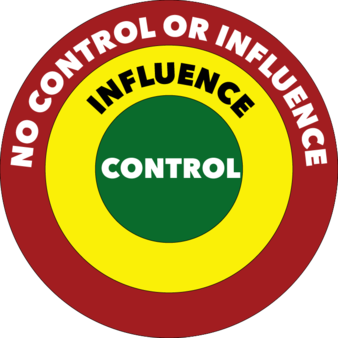 Look at the complaints that are within your spheres of influence and control. See if you can identify one concrete action you could do to address each one. Things we cannot change can drain the energy from us, but we can control how we respond to them. Can we lessen the amount of energy that goes into our frustration about those things? Can we shift that energy into something we have more control over? The key is to use our energy where it counts. The more we focus on what is in our control, the more effective we will feel and the happier we'll be. For more resources like the Michigan Guard Ready & Resilient on Facebook.